11 am-3 pm. 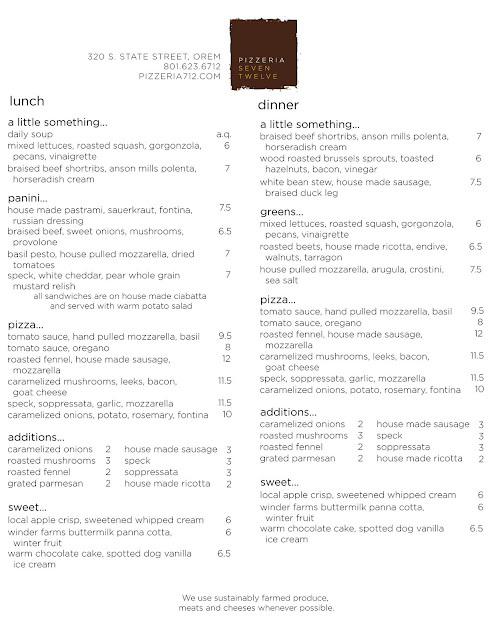 Click on image of menu to read it. So close. Moved in the tables, chairs, reach ins, prep tables, ice machine, dishwasher, etc, etc ,etc...it's starting to look like a restaurant now. The sign is aglow and so is our oven. 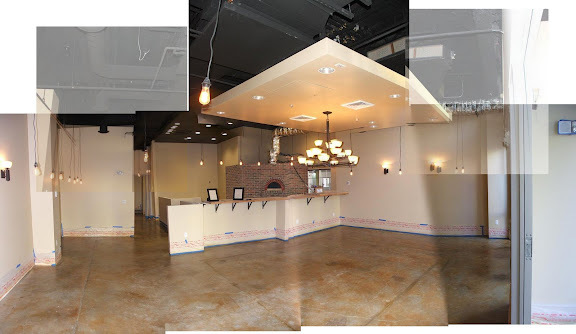 Here is a photo stitch of the pizzeria as of November 18th. 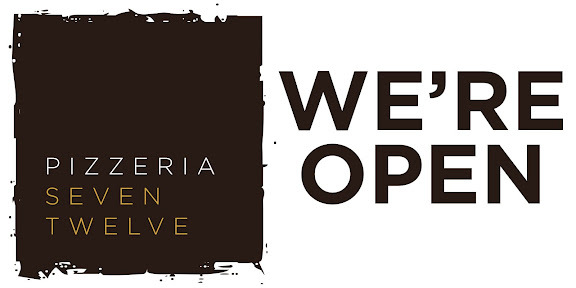 The restaurant nears completion as we near our inevitable opening date. I've stitched together some photos for a progress report. We are flattered to realize that folks as far away as Asia, U.K., and Italy are checking the blog. We plan to impress you all. A view from the front door..
From the west patio doors..
We have officially reached the point of no return. We have created a monster. Even if Midtown wanted to get rid of us (which they don't because we rock)...they couldn't. The 7000 lb. gorilla in the corner is now taking orders from us. Much thanks to our trustworthy mason, Clayton Chadwick. Joseph playing in his fortress. An updated picture of Midtown. 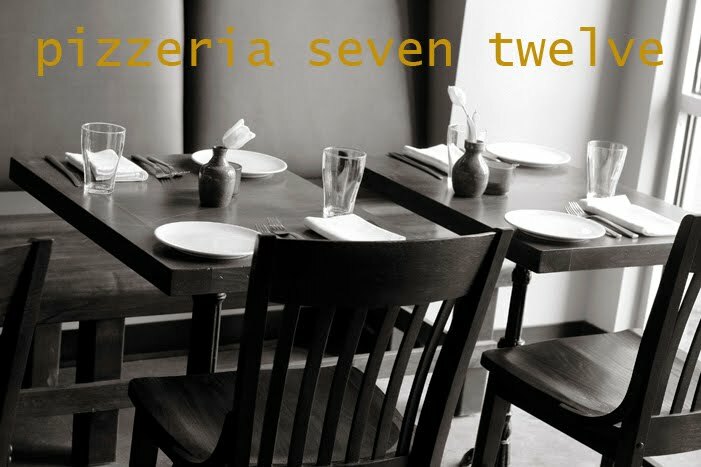 The first Pizzeria Seven Twelve family meal. We are setting our sights on done as far as our oven is concerned. We got the oven in place with a little bit of grunting. Here is our progress in pictures..
Our always steady mason with the two goofballs. Brian sacrificed his victory picture for the team. Other progress that is being made..